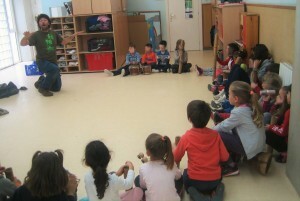 Drum Circle addressed to children of all ages in the field of leisure: recreational centres, holiday camps, community centres, end-of-course activities, parties, etc. 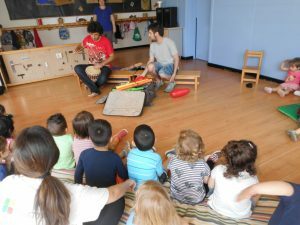 This new project is focused on an extra-curricular activity where children can get in touch with the world of music, experiment and learn through the sounds and rhythm with a variety of instruments. Specific activities and games intended to foster the children’s well-being. Voyage for the world through the percussion with what will dance and will laugh touching instruments of all the continents. Rhythms of Europe, Africa, India and South-amèrica, through dynamic and games where the boys and girls will happen a good while through the rhythm and the movement.